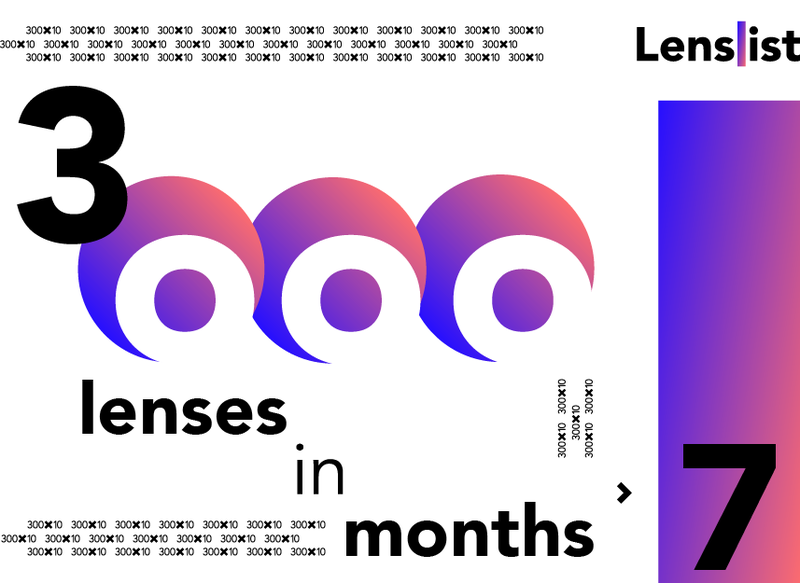 It’s been six months since we’ve reached the number of 300 lenses collected on Lenslist, and now we would like to proudly announce that from this moment we’ve managed to multiply it by 10! Our database consists now of over 3000 Facebook Camera Effects and Snapchat Lenses. What is more, almost 600 of them which we considered the best have been described and recorded to be watched at any time, without the need to try them yourself. It is especially important when it comes to lenses available only temporary or locally, because they still can be used as an inspiration for our dear visitors. Those lenses can be found in Featured and Latest tabs. Also, don’t forget to take a look at our Read section in which we gather everyday news from Facebook and Snapchat AR world. Thank you for being with us this 8 months. We hope to still bring you the most up-to-date and comprehensive collection of Facebook Camera Effects and Snapchat Lenses in the whole Internet. And if you’d like to keep in touch with us then here is our FB fanpage.